Irresistible early Years ideas for your indoor and outdoor provision…. Planning is something I’ve often fretted about getting right over the years. I’ve chopped and changed my planning several times every year and I now feel like I’ve got a system that I’m pretty happy with and that I’m willing to share with you all, albeit nervously. The planning proforma I’ve developed works well for me in that it is clearly linked to assessment and is succinctly limited to just one A3 sheet. Hooray! Of course, it is not perfect – is there any perfect planning system? One section I used to have, but subsequently deleted, was an evaluation box. I felt that it was a token addition, in that it was a hastily scrawled section on a Friday with no real purpose. You just have to log into my Tapestry account, or glance at the classroom displays, to see how the provision has been developed to cater for the children’s interests that particular week through our many and varied observations. I think that is a truer reflection of the week’s work. 3) The elaborate focus activities I set up sometimes did not spark the children’s interests and it sometimes felt like a chore having to run around with the clipboard looking for the children who had evaded the activity all day! Feeling dissatisfied, I started to research planning in the summer when I stumbled across this article about objective led planning written by Alistair Bryce Clegg. As I read it, it all made perfect sense and I decided to give it a whirl. I would strongly urge you to read this article for further information. Below is my weekly planning so that before we delve into what objective led planning is, you can get a feel for how I run my week. 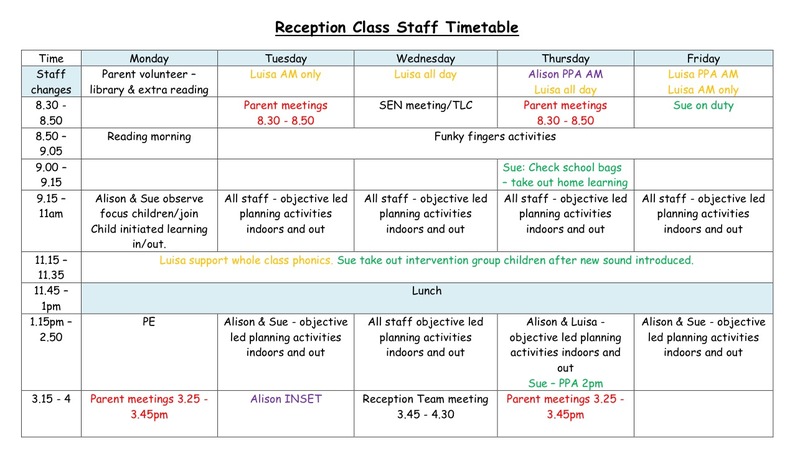 Also attached is my staff timetable for you to get a feel for how we are all deployed throughout the day! Objective Led Planning – How does it actually work? 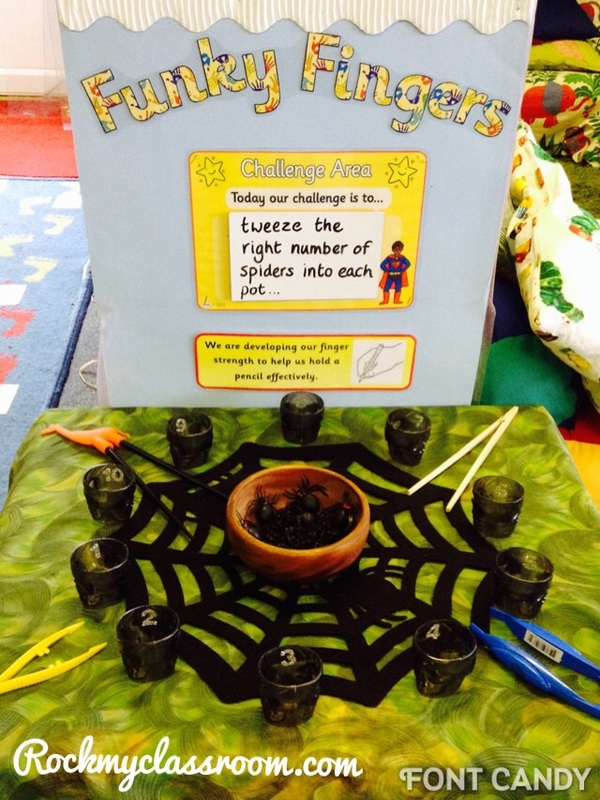 Every week, from *Tuesday – Friday, each member of staff takes responsibility for one learning objective each e.g. These objectives are broken down and differentiated and the children are ability grouped. We specify what they children can currently do and what their next steps are. All staff are clear about how to take the children’s learning forward. *Please note that we leave a Monday free from objectives in order to observe and extend our weekly focus children in their play. Each member of staff will then focus only on their one objective, for the whole week. You will notice on my planning above that rather than planning specific activities I plan ‘enhancements’ and provocations for learning around the setting indoors and out. For example, this week my TA focused on weighing. 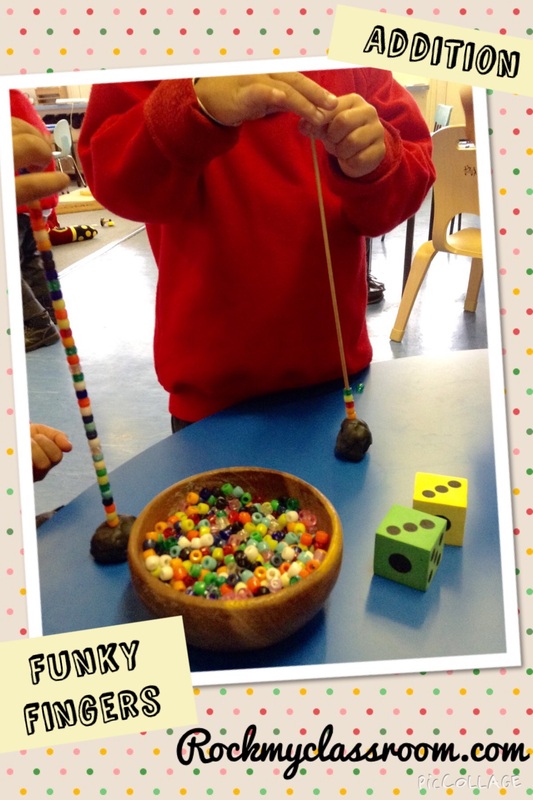 We put scales: at the playdough table, in the sand pit, on the carpet/construction area and set up the outdoor scales with some extremely heavy (1kg) weights next to it – so that the children would constantly bump into learning opportunities. As a result we have now permanently included a set of scales among our play dough provision, so that the children will be able to use them when they wish to do so. I am thinking (or hoping!) 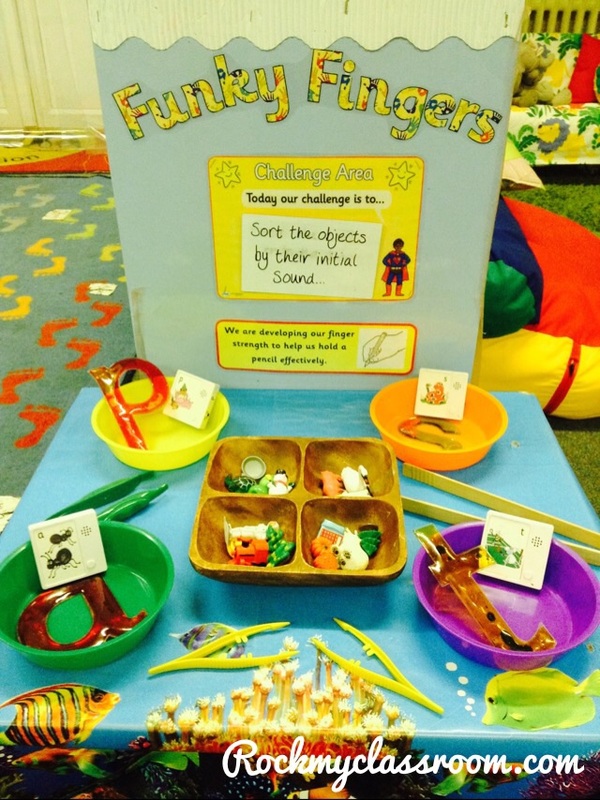 it will help to solve arguments about how to share out the play dough fairly! I often hear teachers asking, “how do you ensure that you have evidence for each child in each area of learning?” Well, the beauty of objective led planning is that you will have a minimum of 2 observations per child, per week. These objectives will vary from week to week in order for you to ensure curriculum coverage so, “voila”, you have your evidence for each child. Differentiation is made explicit and you get a good feel for exactly where your children are, plus you can see clear progress from week to week. The learning is truly child led, in that you take the learning to them rather than calling the children to an activity. You won’t end up with 30 identical pieces of writing or observations of addition with compare bears. It’s lovely to see such personalised observations and pieces of writing in their learning journals. From their observations, an outsider will get a true reflection of the child and their interests along with a clear picture of their capabilities. Although it may sound tedious having to visit 30 children in their child iniated play in order to extend their learning, this isn’t the case. I find that when children see you engrossed with another child who is having fun learning, they will flock to you and so it ends up turning into a group activity! Yesterday for example I noticed two boys making books using hole punches and treasury tags on the PE mat on he floor. I approached them to see what they were doing and to try to extend their learning by getting them to annotate their drawings with words and captions. This resulted in several other children sidling over to get a glimpse of what we were doing and then they all wanted to join in too! This isn’t to say that you can never do pre-planned group activities again. For example, you may want to do some cookery through guided reading and so this would have to be a planned activity. I’ve heard some EYFS practitioners question how objective led planning ensures curriculum coverage because we only focus on 2 or 3 objectives per week. However, the very nature of Early Years education means that there are constantly cross curricular links. 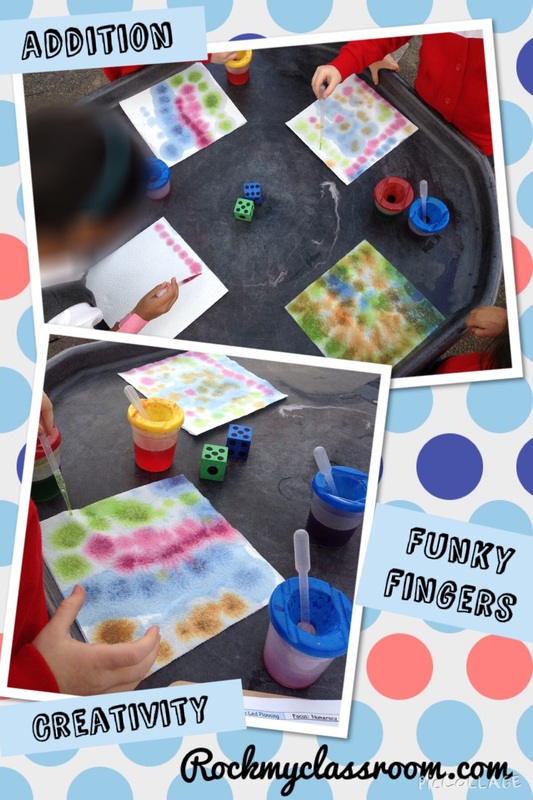 Just look at how my funky fingers activities below coincide with literacy/numeracy in the photos below. With some careful thought you can ensure that your provision is set up in a way that the learning is open ended and with cross curricular links. Sometimes it’s difficult to think of how to introduce the objective into the children’s child initiated learning without ‘killing the play’. You really need to use your imagination and be able to think on your feet about how to make it appealing to the children. It may take them some time for you and your support staff to let go of your traditional way of working i.e. sitting at a pre-planned activity and calling the children over to you, rather than you introducing the learning objective into the children’s child initiated learning. This takes quite a lot of skill and the ability to be able to think on your feet. You will need to spend time before you start, talking about how to create opportunities for learning in certain areas around your setting. In the meantime, I hope this blog post has given you some food for thought. Changing to objective led planning has not been without its difficulties, but I feel that the benefits far outweigh the drawbacks.